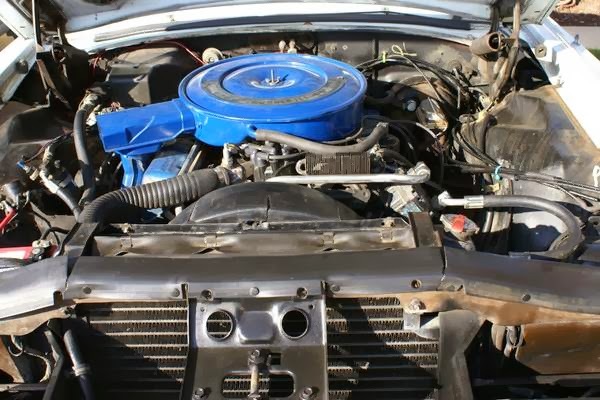 The $95,000 Volvo 960 V8 owned by Paul Newman might give you the impression that celebrity owned cars are out of reach for the average Joe, but really you should just lower your sights on a slightly less famous actor...maybe someone from the B-List. 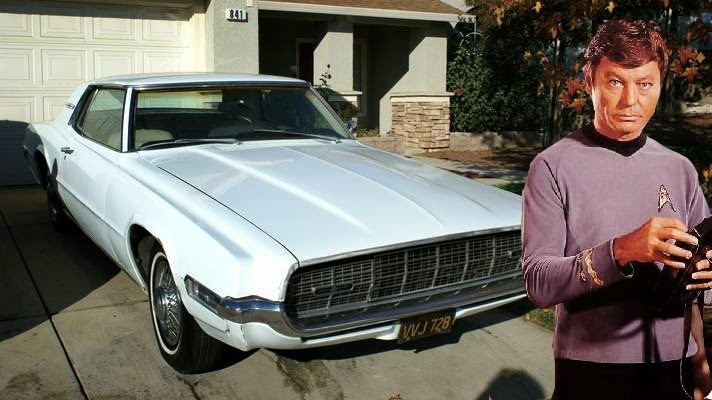 Find this 1968 Ford Thunderbird owned by DeForest Kelley (aka Bones from the original Star Trek series) for sale in San Jose, CA for $12,000 via craigslist. Tip from Kaibeezy. The warp drive on this hulking Constitution class vessel is Ford's 429 cubic inch Thunderjet, which should be good for 360 horsepower and 480 ft-lbs of torque. The Thunderbird weighed about 4600 lbs, so getting to warp 9 will take some time. God i hate the looks of these birds only thing worse is the 4 door ! Oh, there's a worse T-bird -- this 1970. These T-Birds were an abomination.and the later ones even worse. Jeez next thing you know someone is going to offer Ricardo Montalban's personal '75 Dodge Cordoba for sale. Dahlink..ju look fabulous! The 1967 to 1971 Thunderbirds were the absolute pinnacle of the line.